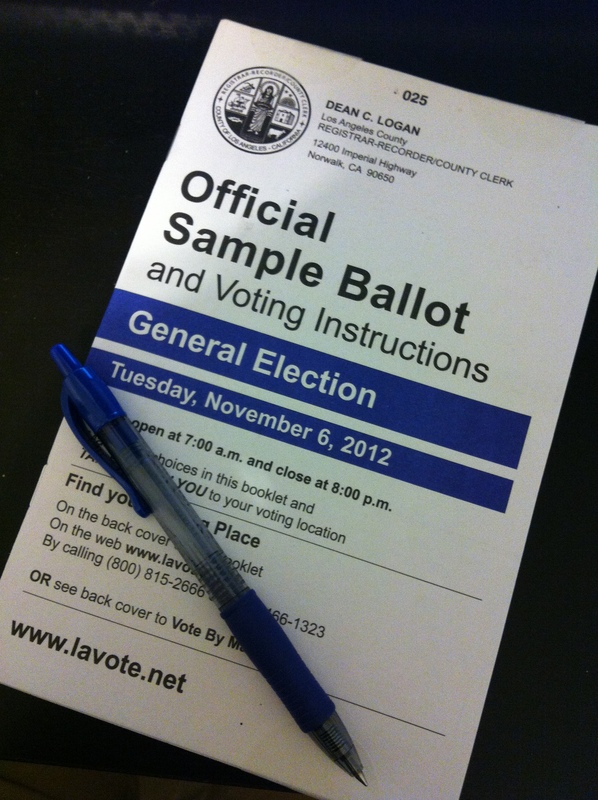 Got the sample ballot two weeks ago. By now even the person living out in the woods will know there is an election going on. Regardless how you plan to vote, PLEASE VOTE. If you dont vote, you gotta cope with the shiesty politicians that get elected in place of the ones that really want to make a difference and make government work for the people. This was a great video put together through a collaboration between the brothers and by my friends at APALC and in particular my friend Tazzystar. The State of California is actually well ahead of the country in that they have made registering to vote even easier, way more efficient, and hopefully less costly and damaging to the environment. You can go online and register to vote. It takes you all but five minutes, you just need your drivers license to fill out some parts and its over. Last day to register is Oct. 22, 2012 for this Novembers election. AND the crazy thing is that you don’t even have to go to a polling station if you are that anti-social. You can send in your mail-in-ballot prior to the elections. So please register to vote!